New BYOB restaurants aren’t always easy to come by these days, so when I suggested to TasteBudA that we check out Red Orchid in the North Hills and to pick a bottle of wine out to take, he was excited. Red Orchid is located in a small plaza of businesses on Babcock Boulevard near the juncture with 3 Degree Road. The restaurant boasts just 24 seats, so you feel as though you are getting a personal experience with the restaurant. Being small, it would also make for a nice date night, or private party restaurant (assuming you could rent the entire space). Being new to Red Orchid, we started with a Red Orchid Combination Sampler of 2 steam dumplings, 2 fresh spring rolls chicken, 2 crab Rangoon, and Red Orchid style bread. The sampler came with a trio of sauces for dipping. 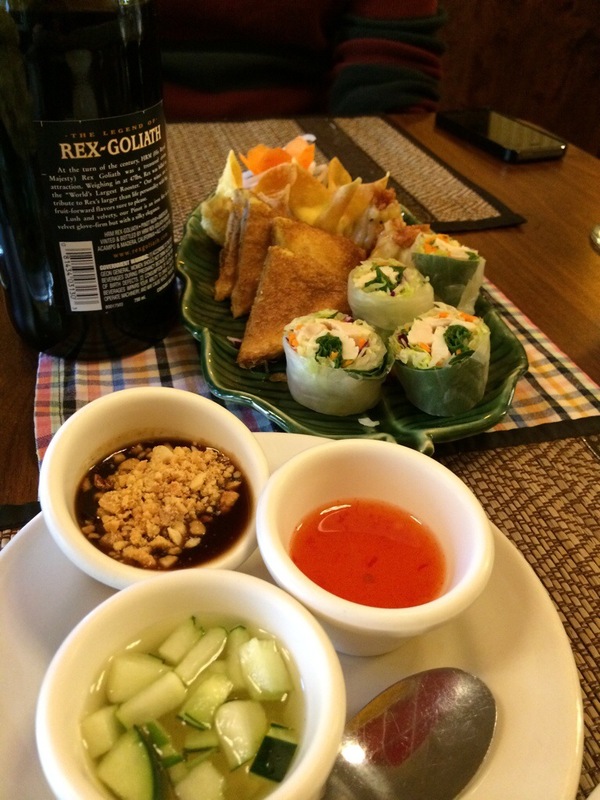 As usual, the spring rolls were my favorite of the sampler. For my entree I decided not get a Basil dish, because that would make me predictable. 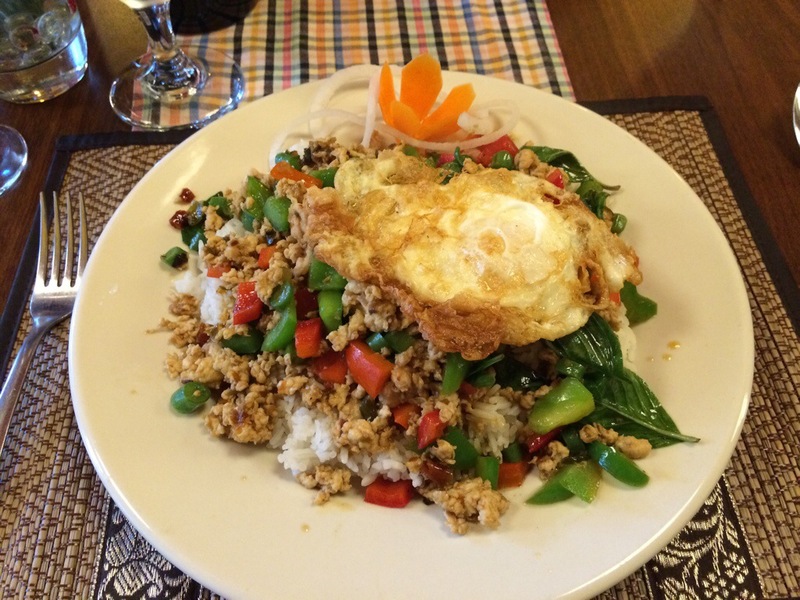 Instead I ordered Spicy Pad Ka Prao. It’s not too far a leap from my usual basil dish, but the fried egg was a welcome new texture and paired well with the spiciness of the dish. The dish tasted as great as the photo looks. The vegetables were super fresh and with a medium-level of spice, I was content to finish the plate – against my diet of course. I’m glad we have a new North Hills BYOB gem, since Stoke’s Grill is no longer BYOB. We will certainly go back. It was interesting to see the bulk of people getting takeout. For anyone looking for at-home Thai, you will need to pick it up, because delivery isn’t available.